Antistuterring device inlcudes delayed auditory feedback: technical description and principle of operation. Purchase StutterStop directly from the inventor and save hundreds USD! Attention to international distributors and speech-related companies: we are looking for cooperation wtih organizations interested in our products. Stuttering treatment with StutterStop! Anti-Stuttering Device for people with speech problems. Anti-stuttering device invented, developed and run by recovered PWS. The device "StutterStop" is based on the principle of delaying acoustic signal – i.e. input sounds through a microphone reaches the headphones with some delay in time. Subconsciously, this allows one's speech to be rectified immediately. This acoustic time-delay signal is meant to be regulated by the user. The range is from 0 to 1,8 sec. 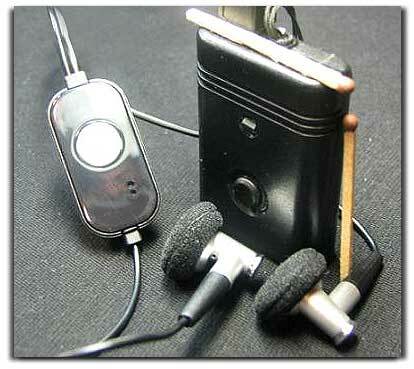 At zero delay this device is similar to the hearing aid with high sensitivity of the microphone. 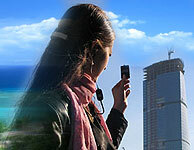 With a delay 0.03 - 0.1 sec – the correction of stuttering takes place. And with a delay from 0.1-0.3 sec a very unique function is being activated – developing of beautiful expressive speech. And the delay 0.5 - 1.8 is excellent for further improvements: there are very promising results in studying foreign languages and rectifying one's pronunciation at this range. Whatever is pronounced will be heard in the headphones by the user. And this method of "listening to one's own speech" allows one to achieve the pronunciation which is very close to the native speech of any particular language. Moreover, this in itself will decrease the amount of time needed for studying new words. This function is for synchronization of the speech. Some techniques of treatment of stutter use rythmisation by means of gesture of a hand or with a metronome. One will hear clicks of a metronome in the headphones. Frequency of following clicks as well as volume can be adjusted according to one's needs. Duplication of clicks occur with a signal of a light on the device. If required, one can also combine clicks of a metronome with a delay of an acoustic signal. 3) very light weight of the device itself and its charger. This latest model of anti-stuttering device StutterStop is just 10 millimeter thick which makes it very comfortable and convenient for carrying even in the most tight-fitting jeans. Operating time – 60 hours . Time or re-charge – 2-3 hours. Special Price for validated pensioners, invalids and medical organizations: 399 USD. N.B. : All prices exclude packaging, postage and possible taxes. Anti-stammering miniature anti-stammering device "StutterStop" directly from the inventor. Attention to international distributors and speech-related companies: we are looking for cooperation wtih organizations interested in our products. Get rid of stuttering with anti-stuttering device StutterStop! Stutter Stop! Eliminate stutter today!